The Eastern conference finals are over, which means no more Lance Stephenson doing weird stuff or Roy Hibbert getting mocked for playing like a D-League player. 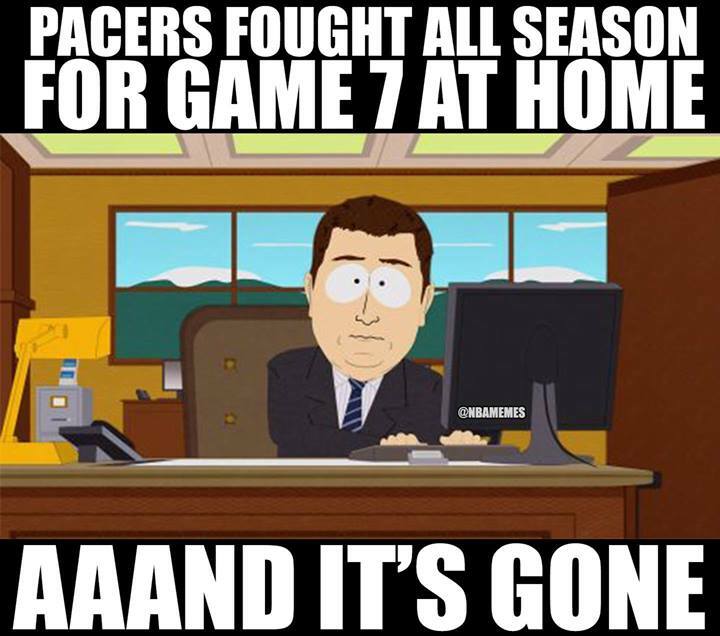 The Indiana Pacers are officially on vacation, while the Miami Heat with LeBron James are moving on to the NBA finals. The memes making fun of all this were soon to follow. This was supposed to be the year for the Pacers – they finished with the best record in the Eastern conference, finally setting themselves up to host a deciding game if needed against the Miami Heat. But it didn’t work out that way. Having advantage doesn’t automatically make it work, and the Heat simply outplayed them, finishing the series in six. So the Heat once again knock out the Pacers from the playoffs – a third consecutive season. This time it actually seemed slightly easier than in the previous times. They won four of the final five games and even when losing in game 1, it didn’t seem like they were too worried about the opening of the series. Many questions come for the Pacers in this offseason: Is Vogel the head coach that will take them further? How do they improve the bench? What should they do with Lance Stephenson? Right now, it’s about weathering the storm of criticism, something the Miami Heat are used to, and the Pacers need to go through in order to evolve. Sometimes, even that isn’t enough.